One of the Missus’ bentoes! I woke up this morning with an idea floating through my head (not much else at this time of the day! ): there seems to be thousands of bloggers out there in the world devoted to bento, so why not try and create together a real community? The purpose is not to compete with other blogs, be they hobbies or business ventures, nor to force people against their will to join a new group. Similar efforts have already been achieved. 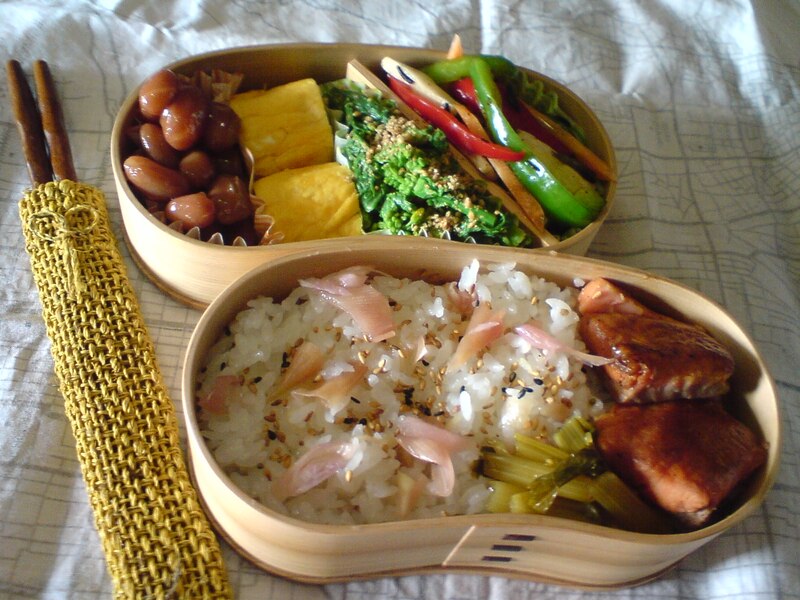 For example, check Biggie’s (Lunch In A Box in San Fransisco) great list of Bento Bloggers! What needs to be created is a larger informal series of postings or a new blog to inform and direct anyone interested in discovering new tips, health facts, trends and tricks for their lunch boxes. I was wondering if Foodbuzz would be interested in creating a Bento Buzz and will enquire, but I think it would be more gratifying if bloggers organize it themselves or through like-minded bloggers. As for the title WBC meaning “World Bento Community”, it certainly would sound better than a “Group” of people making money out of punching each other to death!